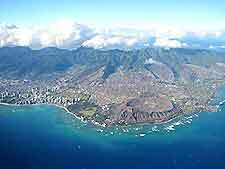 Aerial photo of Honolulu and the surrounding area. 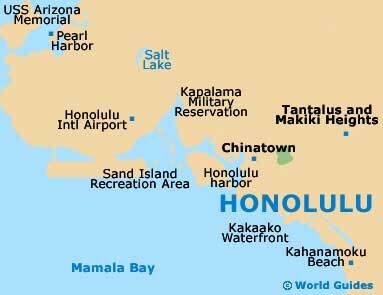 Ala Moana Beach Park, situated on the south shore. 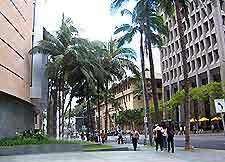 Bishop Street, a popular district home to a number of important consulates. 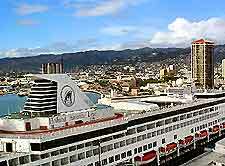 Distant view of Honolulu cityscape. 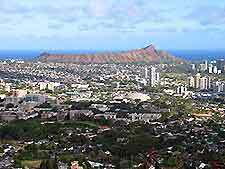 View of Honolulu, showing the mountain in the distance. 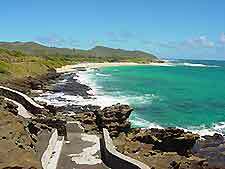 Photo of the extremely scenic coastline. 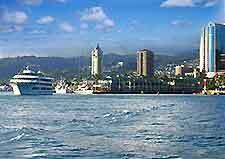 Cruise liner sailing into the harbor area. 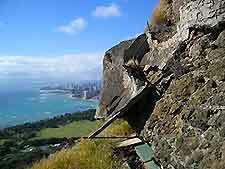 View from Diamond Head mountain. 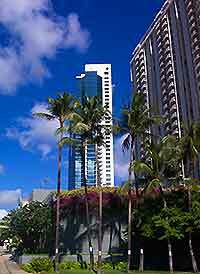 Downtown Honolulu is full of modern skyscrapers and stylish hotels.